PROJECT Fear Mark 2, scaremongering about a No Deal Brexit, is never far away. 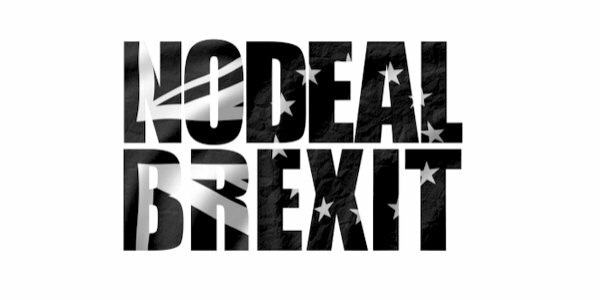 And, by the way, a No Deal Brexit still cannot be ruled out, despite Number 10’s ‘deal or No Brexit’ entrapment policy and despite the Commons’ ruses to take No Deal ‘off the table’. For example, a firm ‘no’ from the EU for further extensions and/or concessions could yet result in a No Deal, though, admittedly, it does not look likely at the moment. Given this possibility, the No Deal Cassandras still feel it necessary to continue chanting their plaintive songs, full of dread warnings and disaster. The latest manifestation of Project Fear Mark 2 comes from the IMF, an organisation noted for its forebodings over Brexit and, in particular, No Deal Brexit. Before the 2016 referendum the IMF, possibly encouraged by the Treasury, warned that Brexit could lead to a recession in 2017. Its latest analysis models two No Deal scenarios: one with minimal border delays and financial market turmoil and one with significant disruption at borders and a severe tightening in financial conditions. Even under the former scenario, the IMF concludes that the economy would dip into a shallow recession and GDP would be 3.5 per cent smaller by end-2021 than it would under a ‘smooth’ Brexit. Under the latter, the economy would sink into a severer recession, falling by 1.4 per cent in the year after Brexit and a further decline of 0.8 per cent in the second year. Of course, like any such study, the results depend on the assumptions made. In the IMF case, most of the ‘damage’ from a No Deal Brexit comes from an implausibly large increase in the cost of regulatory, non-tariff barriers (NTBs), even though UK and EU regulations would initially be identical. This is, arguably, worst case stuff. Other assumptions are challengeable, to say the least. For example, the IMF assumes that it takes two years to replicate the existing EU trade deals with third countries (some are already ready to roll-over), no new trade deals are done over the forecast horizon with third countries and ‘No Deal’ with the EU is permanent. The IMF’s analysis is far too pessimistic. Putting aside these specific comments, my key criticism of the IMF’s analysis is that it gives the impression that its forecasts are more robust than they really are. Economic forecasts need health warnings . . .
Economic forecasts are by their very nature uncertain, indeed the IMF concedes their latest forecasts are ‘surrounded by uncertainty’. The old joke that economic forecasts are there to make weather forecasts look good has more than a grain of truth in it. Actually, weather forecasts are now very good. Economic forecasts are not so good, indeed they can be highly inaccurate. They need health warnings. It is a salutary exercise to compare forecasts with outturns to realise just how inaccurate they can be. Most forecasters, including the IMF, missed the severity of the Great Recession in the late 2000s and the early 2010s. In its July 2008 forecasts, even as concerns about the financial sector were building up, the IMF still expected UK GDP growth to be 1.8 per cent in 2008 and 1.7 per cent in 2009. In the event, GDP slipped 0.3 per cent in 2008, to be followed by a 4.2 per cent fall in 2009. Instead of growing a cumulative 3.5 per cent during 2008 and 2009, GDP shrank 4.5 per cent. Granted, this is an extreme case, but there are many other instances of poor forecasting, albeit less melodramatic ones. For example, the IMF has recently made some significant changes to its forecasts for two key Eurozone economies, Germany and Italy, for the year 2019. The chart below shows that the IMF has downgraded its growth expectations for 2019 for Germany, which skirted recession last year, from 2.1 per cent last July to 0.8 per cent this week. Such a downgrade is significant. The IMF’s projections for Italy, which actually slipped into recession last year, look even bleaker. They could still be too optimistic. Italy could experience a fall in output overall this year. Incidentally, the IMF’s view of the UK has been relatively stable. It could actually be too pessimistic, given the economy’s remarkable resilience in the face of the political shambles. Sources: IMF, World Economic Outlook, forecasts made in July 2018, October 2018, January 2019 and April 2019. I do not make these comments to criticise the IMF’s forecasts as such. Their forecasts are not uniquely poor – far from it. I make them to remind us all that economic forecasting is more art than science. Forecasters should show more caution and humility. The No Deal impact on GDP may be 3.5 per cent by end-2021 as the IMF claims, or it may be relatively trivial. And, if No Deal, we would still have our £39billion agreed as part of the egregious ‘deal’. Suffice to say, the No Deal forecasts made by the Government and the Bank of England last November should also be treated with great caution. The Government’s forecasts absurdly claimed that GDP could be down over 9 PER CENT by 2035 if a No Deal scenario, as if projections 15-16 years ahead have much value. So much depends on the policies adopted by Governments over that period of time. Trading under WTO rules, with the freedom to negotiate trade deals and modernise regulations, could provide a real economic boon if energetically implemented. Similarly, the Bank’s November speculation that GDP could fall by nearly 8 per cent in 2019 in the event of their ‘disorderly’ No Deal scenario was literally incredible. I note, however, that the Bank has somewhat modified its views on the impact of a No Deal Brexit in the light of recent preparations. As the Governor recently told the House of Lords Economic Affairs Committee, the authorities have taken steps to protect derivative markets, reduce financial risk and minimise trade frictions, while rolling over some third-country trade agreements that the UK has through the EU. Project Fear Mark 2 is the direct descendent of pre-referendum Project Fear Mark 1, where the pièce de résistance was the Treasury’s economic assessment if the electorate had the temerity to vote for Brexit. It said that a vote to leave ‘would represent an immediate and profound shock to our economy. That shock would push our economy into a recession and lead to an increase in unemployment of around 500,000’. Well, the economy did not go into recession, unemployment has fallen by about 300,000 since mid-2016 and employment has risen by nearly 1million. This ‘analysis’ has seriously undermined observers’ confidence in the Government’s integrity. An apology, or at least an explanation, would be appreciated. Project Fear Mark 1 did not work and Project Fear Mark 2 does not appear to be working either. Doubtless, there would be some disruption in the event of a WTO Brexit as businesses adapt to the new set of circumstances. But businesses are good at adapting, otherwise they do not survive. I would expect such disruption to have broadly dissipated within six months. Moreover, we know that the British civil service has made extensive No Deal preparations. The Bank of England and the European Commission. Businesses, too, have stepped up their No Deal Preparations. A managed No Deal would be a liberation, not a crisis.